We have long preached the benefits of wall murals for interior office spaces. We have raised the very telling fact that the most successful and admired companies in the country use wall murals to beautify their office spaces and motivate employees. Employees who feel like their being invested in and cared after are more productive, more loyal, and more profitable. We have recently completed a number of wall mural projects for interior office use for a very respected and expanding company: Cognizant. Wall murals, wall graphics, and wall vinyl are a boost for a company of any size though, and we are happy to design, fabricate, and install them in Mesa, Gilbert, Scottsdale, and Chandler AZ. Cognizant is a rapidly growing, Fortune 500 company that provides IT and other services to businesses. They came in at #17 on Forbes Future 50 list in 2017 that tracks the best, fastest growing companies in the nation. Things are going well for Cognizant, and with their immense growth comes many new facilities around the country. 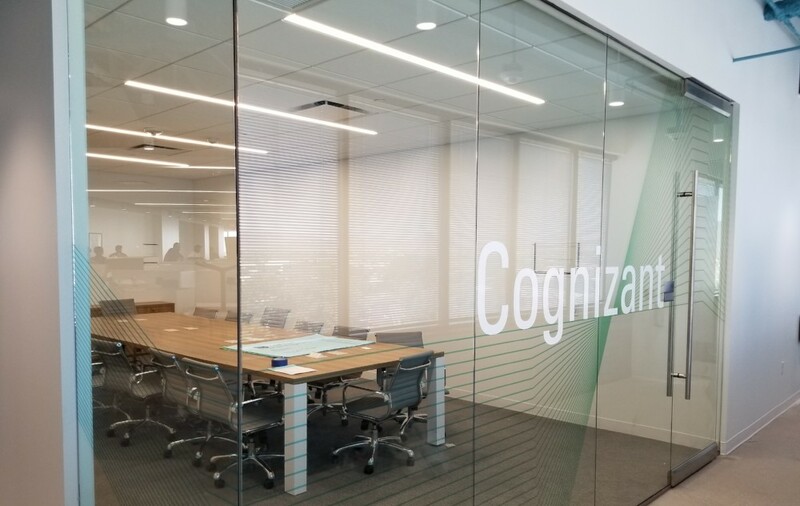 We have recently taken on much of the work of adorning Cognizant’s new office spaces with wall murals to boost employee morale and to impress visitors. Our work with Cognizant began with projects to fabricate and install wall murals for new locations in Mesa, AZ and Phoenix, AZ. These projects went so well that Cognizant decided to use us to fabricate wall murals for many more of their brand new office locations. This included offices in St. Louis, MO; College Station, TX; Irving, TX; Denver, CO; and Dallas, TX. For these out of state wall mural projects, we printed the wall murals in our shop, packed them up, and shipped them to sign companies we have relationships with these various cities. We coordinated with them and managed the projects remotely. We are always willing to work within the unique constraints of our customers, whatever those may be. Cognizant has a fantastic in-house design team who designed all of the wall murals. We worked with them to ensure that the designs would fit properly onto the dimensions of the office spaces walls. We tested the walls to ensure the use of the most appropriate material, printed the murals, and installed them (or coordinated the installs for the out of town locations). Some of the Cognizant offices required additional graphics beyond murals. We have also installed dimensional signs for lobby's, etched window graphics for offices and conference rooms, large illuminated building signs and more. 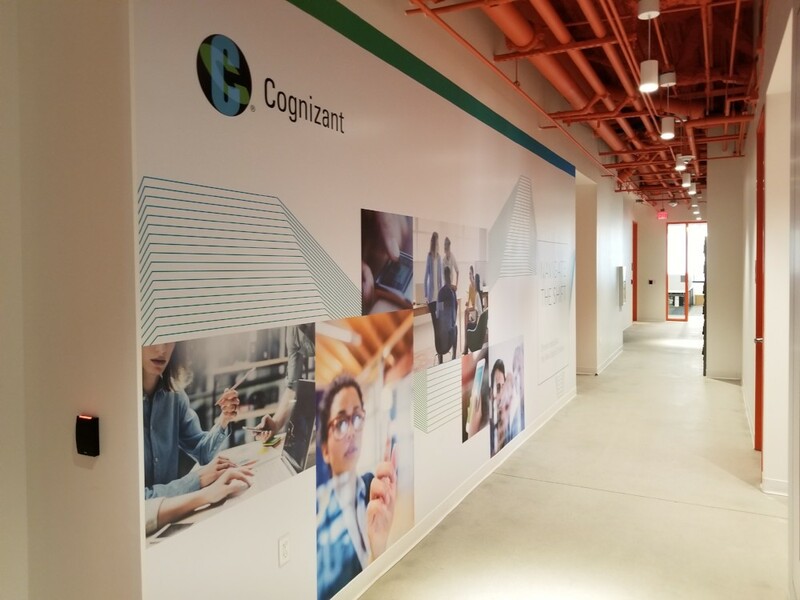 The Cognizant wall murals all look great and are no doubt being enjoyed by their many employees all across the nation. 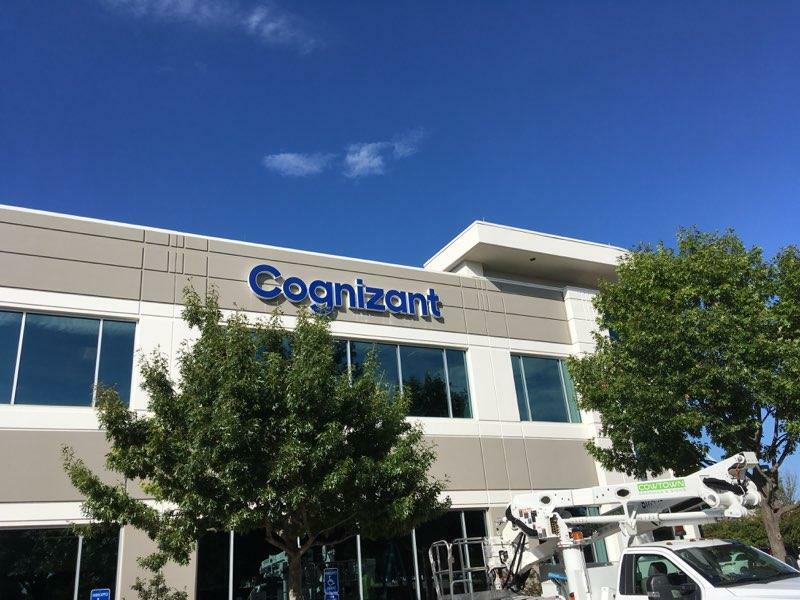 Cognizant is yet another case that supports the idea that America’s top, fastest growing companies use wall murals to inspire employees and communicate their brand and mission.